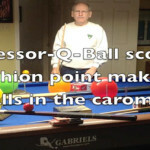 I am pleased to announce the release of my video documentary: “Okinawa Slim – A Billiard Legend”. The Documentary is dedicated to my Father whom I Love and Miss dearly. His celebration of life was May 13, 2013 and he’s still watching over me. 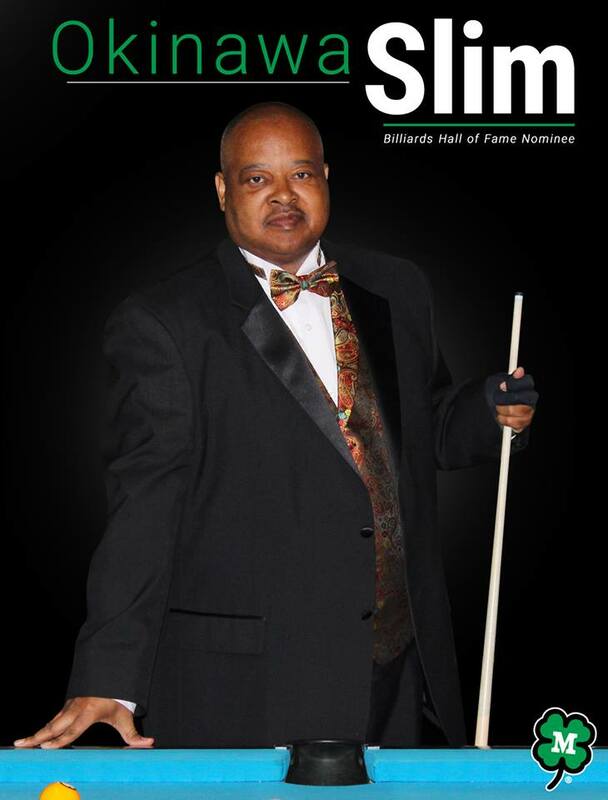 The documentary will give viewers an opportunity to learn more about my life as a Retired Marine, World Famous Trick Shot Artist, Past President of the World Pool Billiard Association – Artistic Pool Division, and my Nomination for Induction into the Billiards Hall of Fame. 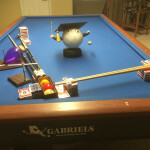 The story covers various stages of my life– as a young child helping out in my father’s pool hall, how I got the nickname “Okinawa Slim”, my philosophy on pool and life…and how it got me to where I am today. My life’s journey has been and continues to be very rewarding. It has allowed me to bring into fruition many projects, overcome many challenges and reach many goals that I have set for myself. 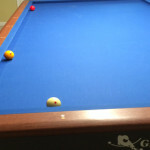 Now, my goal is to share my story in hopes that it will inspire someone, somewhere to believe that whatever challenges or obstacles they may need to overcome, whatever goals they may aspire to achieve, they can do it…but like pool, they have to get into the game…and play to win. Please take the time to watch and share my thirty-minute documentary with all of your friends; it can be viewed online at https://www.youtube.com/watch?v=9OMAEqwzMgI. I hope that you will enjoy it. In closing, I want to thank God, Family, Friends, Fans, Supporters, my Past and Present Sponsors for being a part of this journey in my life.